Will the Supra Name Live On? 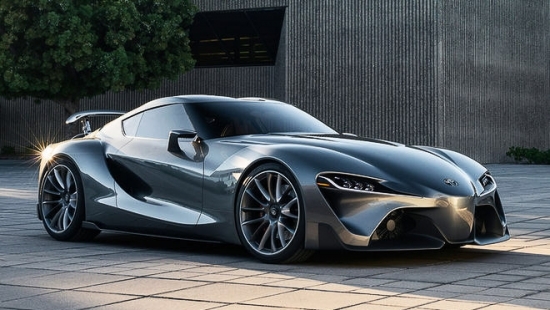 Ever since Toyota released a concept design that was to be the successor to the Supra, the auto industry has gone into a frenzy every time the concept rears its head. Acura came back with their NSX and Mazda doesn’t look like it’ll be reviving their RX7. So the only remaining Japanese supercar left untouched form the 90’s is the Supra. What we do know is that there is a production car in the horizons which is being jointly developed between BMW and Toyota which will revive the Supra. Only question left is whether the Supra name itself will live on. The folks over at Toyota believes in bringing back the name as there is too much history to the Supra name to just let it die. A move in the right direction from Toyota was noticed when the company filed to have the Supra name trademarked in Europe. In recent times, Bugatti has been busy building supercars that covers 3 key categories: Beauty, Luxury, and Performance. With each of their supercar one upping the predecessor by claiming the fastest production car record, not only is a Bugatti uber expensive, they are also extremely exclusive. But taking us back to a time when Bugatti wasn’t just about supercars, remember the company did produce some of the finest four door saloons of its time. Not any less expensive in its days, but at least they carry more than 2 passengers in the cabin. 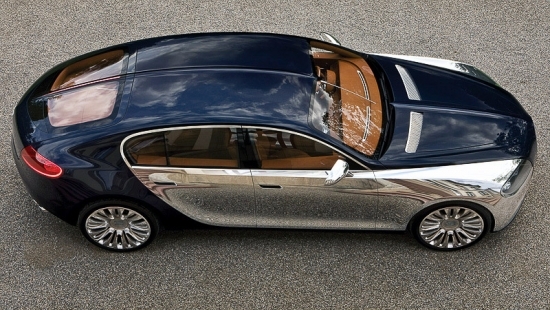 Since the Galibier four door concept was debuted in 2009, Bugatti has been on and off about going back to it’s roots and producing a four door sedan. However, it seems Wolfgang Durheimer, Bugatti CEO, has now confirmed that they are seriously considering expanding the Bugatti lineup. “At present I am following up four strategic ideas. The Galibier is one. I can’t talk about the others.” The Galibier has been in the plans for years but due to business changes and reorganizations happening the concept kept of getting shelved. But with Durheimer back in the driver’s seat at Bugatti, there’s a big possibility the Galibier may see the light of day. 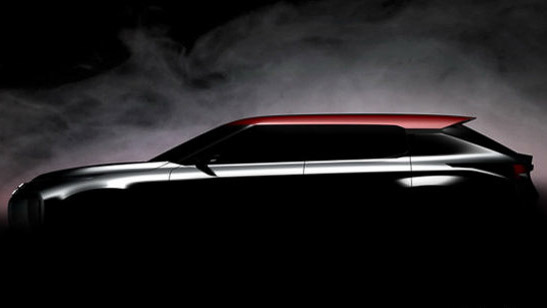 Mitsubishi has been tight lipped about a plug in hybrid SUV which it will be marketing as an upscale vehicle. The concept vehicle will debut at the upcoming Paris Autoshow in the fall. From what can be seen so far, Mitsubishi is taking a deviation from their sporty and somewhat chunky proportioned cars and moving towards a sleeker design with the concept. In a statement by Mitsubishi, “The combination of advanced driving technologies packaged using the latest Japanese design trends and quality will propel the Ground Tourer Concept for effortless cruising in all driving conditions on and off road; all while accommodating passengers in a quiet, comfortable and luxuriously crafted interior”. More information will make its way out on the Japanese automaker’s concept vehicle around the time of the Paris Auto Show. 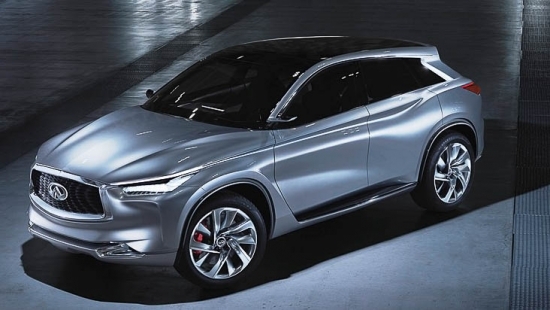 Infiniti has leaked out images and information about their QX Sport Inspiration Concept before it’s official debut at the 2016 Beijing Auto Show. The QX Sport Concept is a forward looking view of what consumers can expect from the Infiniti brand which is an aggressive design with an undertone of performance and elegance. Rumors of Audi building an all new sports coupe which will be slotted between their TT and the R8 have been circulating for quite some time. Like all manufacturers, the key to producing all new vehicles is more than just will consumers buy it. It also has to make financial sense to produce the vehicle in the first place so the company can make money. This is where Porsche comes into the picture. The all new Porsche 718 Boxster and Cayman will share its platform with the R6 which will dramatically drop production cost for both automakers as chassis development cost will now be shared amongst the mid-engined sports cars. 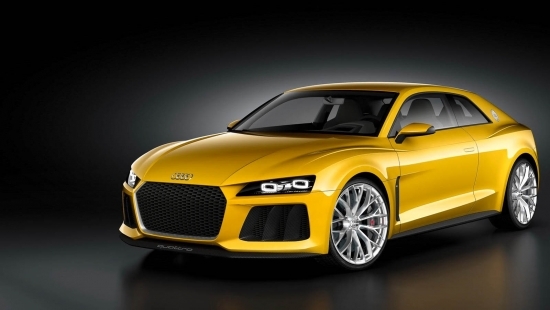 That’s right, the R6 Concept will have another thing common with its bigger brother the R8. The engine will be sitting mid-ship. Although these are all just rumors, there’s too many facts that are leaking out to the public to not think Audi will eventually put the R6 Concept into production. Word has it that this new concept SUV is actually a prequel to the all new Touareg. Volkswagen has been creating a host of concept vehicles, which are helping pave the way forward for their future designs. But with only two SUVs in their entire lineup, it’s really time that Volkswagen ups the ante and bring something special to the market as North American consumers are demanding SUVs. The Touareg powertrain details has yet to be confirmed, but rumors is that it will be using a hybrid powerplant that will pump out approximate 376hp and 516lb/ft of torque. 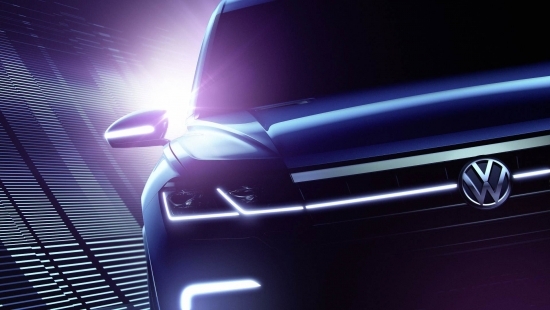 Volkswagen is teasing that the SUV will sprint to 100km/h in 6.0 seconds and will have a fuel economy of 78 miles per gallon. 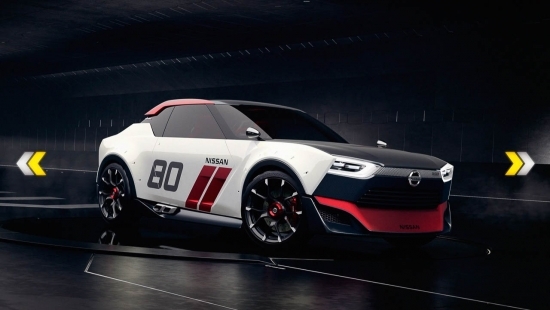 We have all been waiting for Nissan to develop a small rear wheel drive sportscar that will compete against the likes of Mazda’s Miata or the Toyota 86. But it seems like we’ll have to continue waiting for that dream to come true. Executives at Nissan has confirmed that they will continue to put energy towards their flagship sports car the GT-R and their Z sport coupe. 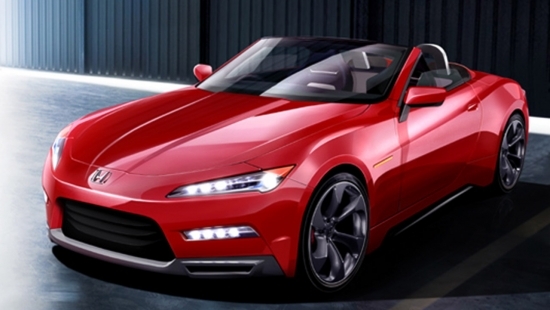 Producing a small rear wheel drive sports car is not in the pipeline. It is currently cost prohibitive to develop this type of vehicle as it would be a ground up design. Without partners to share in designing a platform, the costs involved are just way too high and not economical. If options come up for Nissan to share development costs, there could be a possibility that the small sports car could come to market. But until then, the idea will sit quietly on the back shelves of the Nissan development group. 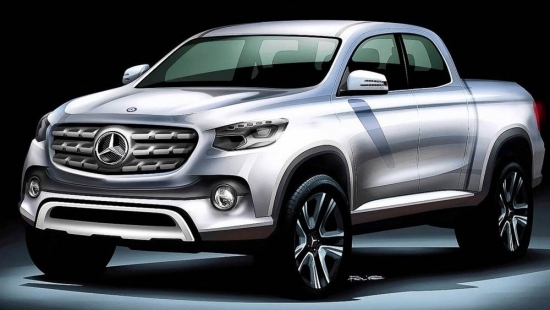 Mercedes is in the works to release a new concept vehicle in the form of a pick up truck and is said to make a debut before the end of the year. This is definitely a deviation from most available Mercedes models. The closes thing to a utility vehicle is the G-class Wagon, but even then it’s more luxury than utility. The rumors is that Mercedes will be using the guts of the Nissan NP300 Navara as the building blocks for their truck which might be called the X-Class. There’s no official name as of yet. As well, no decision has been made as to where this truck will ultimately be sold. Either way, the Mercedes truck will be designed to be a luxury vehicle which just happens to be a truck. It will likely be a very capable vehicle, but it most likely won’t ever be used for what it is designed for. 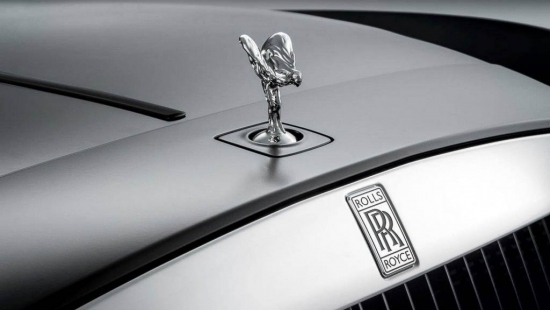 Rolls Royce, a brand that exudes luxury and class, generally makes a pointed statement when they introduce new vehicles. More specifically, they don’t tease buyers pallets with concepts, rather they introduce new vehicles as they are designed so consumers can take in all their glory in one shot. For the first time, Rolls Royce is following in the footsteps of its parent company BMW and will be taking part in a concept reveal with the primary purpose to show the public what their design thoughts will be over the next 100 years. BMW recently revealed their Vision Next 100 concept, and others from the company will follow. Rolls Royce will use their concept as a platform to showcase next level design and concepts for car interior. From ergonomically designed interiors that doesn’t sacrifice looks, to mastering new materials which aren’t commonly used for interior cabins, the Rolls Royce concept will push the imagination to the next level.